Shouldn’t Google also remove deceptive ads from abortion clinics? News recently broke that Google will remove some ads from pregnancy centers which Google deems to be deceptive. At this point, no one knows exactly which ads Google will deem to be deceptive. However, if Google is going to stop pregnancy centers from placing what Google deems to be deceptive advertisements, then shouldn’t they also stop abortion clinics from placing misleading ads as well? There are clearly a number of ads from abortion clinics which don't match these requirements. Here’s an example of a Los Angeles area abortion clinic claiming to offer “free” abortion services. Here’s a chain of abortion clinics claiming to provide “gentle” abortions up to 24 weeks. Pregnancy centers offering free services to women in unplanned pregnancies shouldn't be the only groups whose ads are targeted, especially when it's clear that abortion clinics are using Google to place deceptive ads. Could HHS mandate turn into an abortion mandate? Since the beginning of the HHS Mandate, prolife groups have pointed out the power to compel people to pay for contraceptives against their beliefs can also apply to abortion. A recent editorial in USA Today notes that the Obama Administration has argued that it has the power to compel people to pay for abortions against their will through insurance plans. This is a reason why the Abortion Insurance Opt-Out law was necessary. During a recent Supreme Court argument over the Affordable Care Act's contraceptives mandate, Justice Anthony Kennedy cut to the heart of the government's argument. "Under your view," he told Solicitor General Donald Verrilli, "a for-profit corporation could be forced to pay for abortions." After some verbal fumbling, Verrilli conceded: "you're right." But, he quickly added, there is nothing to fear because there "is no law like that on the books." The National Abortion Rights Action League has convinced Google to take down some pregnancy resource center advertising. NARAL claims that prolife pregnancy centers, which provide free counseling, pregnancy tests, clothing, baby formula, diapers, etc. are a "growing threat to women's health." In recent weeks, filmmaker Phelim McAleer has been raising funds to create a movie about abortionist and convicted killer Kermit Gosnell. In some recent interviews with people on the streets of Hollywood he shows why he believes a film about Gosnell needs to be made by asking people if they recognize Jody Arias and Kermit Gosnell. Pew Research polled individuals in 40 different countries to see how abortion is viewed around the world. In the majority of countries, poll participants viewed abortion as morally unacceptable. In a recent commercial, Terri Lynn Land, points out the absurdity that she would be waging a war on women. Land has been endorsed by the RLM-PAC for the U.S. election. Aborted children from Canada burned for energy in U.S.
A month ago it was reported that the bodies of aborted and miscarried children were being burned to produce energy in the United Kingdom. Earlier this week, it’s been revealed the same thing is happening in the United States. A waste-to-power plant in Oregon has been using the remains of children aborted in Canada to create energy. When local government officials learned of this horror, they ordered the facility to stop burning medical waste from Canada. The county has been using the Covanta facility in Brooks, to turn waste into energy for years. The county uses municipal waste from homes and businesses plus medical waste as incinerator fuel to produce power. An article published in the B.C. Catholic newspaper earlier this week suggested that fetal tissue from British Columbia was included in the medical waste. Marion County Chair Sam Brentano says if that is the case it cannot be tolerated. He immediately stopped the burning of all medical waste while the county looks into the report. An emergency commission meeting was scheduled for Thursday morning. Human embryonic stem cell research advocate Robert Lanza published a study claiming success in creating human clones from two adult men and then killing the clones for their stem cells. This experiment mirrors one last year creating human clones of babies and unborn children and uses the same technique which created Dolly the sheep. Researchers in this experiment used 77 human eggs to create 2 cloned embryos. Human cloning using the nuclear transfer technique is illegal in Michigan. Eight months after being separated formerly conjoined twins Owen and Emmett Ezell are leaving the hospital. 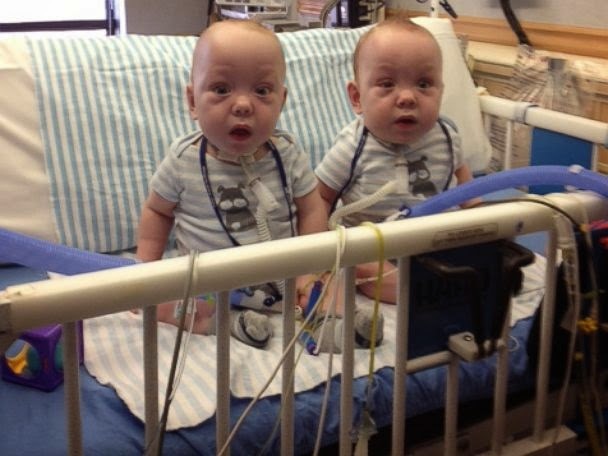 What many of the recent national accounts of Owen and Emmett's story may leave out is that the adorable twins were at one time scheduled for abortion after their original doctor believed the twins had little chance of survival. Thankfully, the opinion of a second doctor saved their lives. Jenni and Dave Ezell call the twins their "little miracles" and say each step has been part of a greater plan. "They wouldn't be here if it weren't for God. It's the truth," said Jenni Ezell. To celebrate the twins' health and success, a small celebration is being planned on Wednesday prior to their departure. Ahead of that celebration, the hospital and Ezell family released new photographs of the now 9-month-old boys on Tuesday. Sabrina White is Right to Life of Michigan's 2014 Youth Award recipient, nominated by Right to Life of Gladwin County. Sabrina has been a very active prolife volunteer for several years, including currently serving as the secretary for Right to Life of Gladwin County. She has helped her affiliate organize their dinner and fair booths. She has attended the national March for Life four times and two prolife youth rallies in Midland. She also helps pregnancy service organizations through her church and volunteering at a local baby pantry, including donating two baby blankets she crocheted herself. She plans on attending St. Mary Magdalen College. Emily Messiter of Washtenaw County Right to Life was the runner-up. She has volunteered extensively with her affiliate on March for Life bus trips, and she is a leader of her high school prolife student club. She plans on attending St. Mary's College in Indiana. We also had some excellent honorable mentions: Anastasia Bragg of Gaylord Right to Life, Sylvia Messing of Huron County Right to Life, Greta Worm of Grand Rapids Right to Life, and Angela Sauve of Saginaw Right to Life. You can read excerpts from their essays and learn about their volunteer activities on our Youth Award page. Scientists continue to have successes researching ways to create organs and body structures using adult stem cells. In this case, the researchers are trying to grow ears, noses and blood vessels using polymers and stem cells from fat. Last year, he and his team made a nose for a British man who lost his to cancer. Scientists added a salt and sugar solution to the mold of the nose to mimic the somewhat sponge-like texture of the real thing. Stem cells were taken from the patient’s fat and grown in the lab for two weeks before being used to cover the nose scaffold. Later, the nose was implanted into the man’s forearm so that skin would grow to cover it. Seifalian said he and his team are waiting for approval from regulatory authorities to transfer the nose onto the patient’s face but couldn’t say when that might happen. Claire Cressey and Alan Coultas were recently able to hold their infant daughter Emily for the first time. Emily was born at 24 weeks, weighing a mere 1 lb., 3 oz. She is now up to 1 lb., 13 oz. 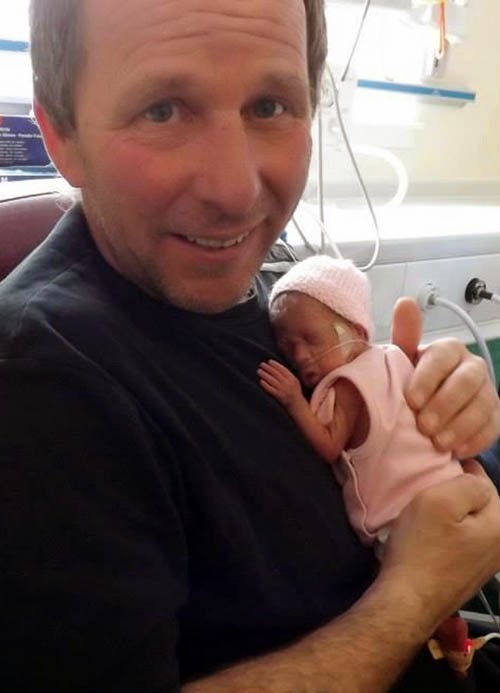 Emily, who weighed just 1lb 3oz when she was born on February 27, could legally have been aborted. A delighted Claire said: “I’ve waited for over a month to be able to hold her and it is something I will remember for the rest of my life. 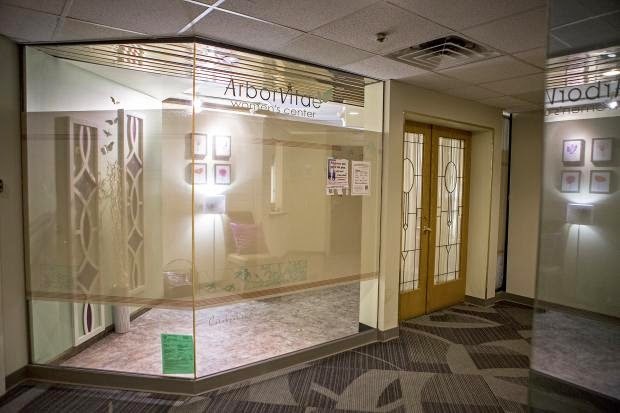 Last week the University of Michigan student newspaper, The Michigan Daily, profiled Arbor Vitae, a pregnancy help center in downtown Ann Arbor just off of the UM campus. The author notes the decrease in abortion in Michigan but fails to mention the biggest drop in Michigan's annual abortions occurred in 1989, right after Michigan stopped using tax dollars to pay for abortions. In Michigan there are more than 150 agencies willing to help women in unplanned pregnancies. If you or someone you know is experiencing an unplanned or crisis pregnancy or would like information about adoption or post-abortion assistance, you do have options. For help, please call 1-800-57WOMAN (1-800-579 6626), a toll-free hotline, any time, day or night, to be connected to a caring, confidential help agency. An image of the coupon is below. Available for .07 while supplies last. 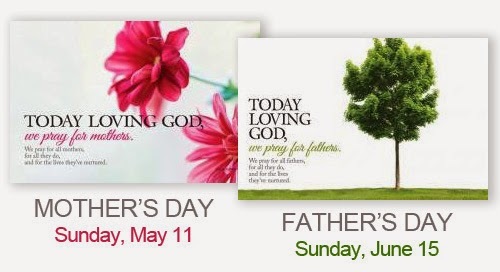 Order your bulletin inserts today for Mother's Day (May 11) and Father's Day (June 15 ). Supplies are limited. Click to visit the store for a larger view of these full color, glossy 5.5" x 8.5" bulletin inserts and read the prayers celebrating all moms and dads. Mark Schauer, the presumptive Democratic Party nominee for governor, has selected Oakland County Clerk Lisa Brown as his running mate. In nominating Lisa Brown to run as his lieutenant governor, Schauer has picked one of the most pro-abortion politicians in the state of Michigan. While in the Michigan State House in 2010, Brown was one of only 9 legislators to oppose H.B. 4406. This legislation includes Hispanic ethnicity in abortion reports which are submitted to the Michigan Department of Community Health. The bill passed the state house by a vote of 98-9, passed the state senate by a vote of 37-0 and was signed by Governor Jennifer Granholm. Brown also voted no on Michigan’s Partial-birth Abortion Ban Act in 2011. The legislation passed the house by a vote of 75-34 and passed the senate by a vote of 29-9. In the partial-birth abortion procedure, the woman’s cervix is dilated over a period of three days. On the third day, the infant is delivered feet first up to the neck. Then while the infant’s head is still inside the birth canal, the child is killed. The skull is collapsed and the now-dead infant is delivered. She also opposed legislation known as the “Prolife Bus” which required abortion clinics be licensed and inspected, prohibited “webcam” abortions, require abortion clinics to screen women for possible coercion and require abortion clinics to dispose of the bodies of aborted children in a humane manner. The legislation passed overwhelming by margins of 72-35 in the state house and 27-10 in the state senate. Brown's advocacy for abortion may have even impacted how she treated her employees. In 2012, a former employee of Brown’s alleged Brown fired her because of her pregnancy. Caughey said that she had begun working for Brown in January 2009 and had a good working relationship before announcing that she had become pregnant in early March. Shortly thereafter, she said Brown made her "feel very uncomfortable" with unprofessional behavior, including an incident in which she says Brown made a vulgar suggestion alluding to abortion. "She was looking out of a window at the Capitol lawn, where there was a pro-life rally happening. She kept saying to me, 'those people disgust me,'" Caughey said. "She told me, 'I should take you down there and walk behind you with a coat hanger.'" Some have questioned the need for the recently enacted Abortion Insurance Opt-Out law. A current national study shows at least 126,000 Michigan residents will receive an estimated $328 million in taxpayer-funded subsidies to purchase health insurance. Had the opt-out law not been enacted, many insurance plans would have included coverage for abortion as a built-in benefit. These are figures through February that do not include the wave of people who signed up for coverage in the month of March. Right to Life of Michigan President Barbara Listing said, "There was a reason the Affordable Care Act included a provision for states to opt-out of abortion coverage, people do not want their tax dollars going towards the destruction of innocent human life. 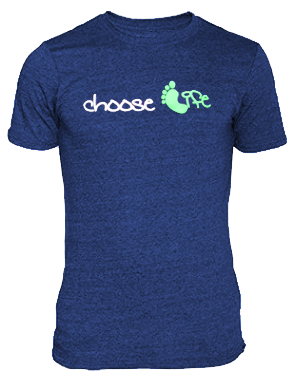 Abortion is not true health care; abortion ends the life of a child preparing to be born." The Kaiser Family Foundation released data highlighting how many people from Michigan have signed up for health care policies through the exchange with an estimated $328 million in taxpayer subsidies. Tax subsidies are a fundamental part of the Affordable Care Act. Of the 145,000 people who selected a Marketplace Plan in Michigan for their health insurance needs, 126,000 people are receiving subsidies. According to the Kaiser Family Foundation, the average subsidy per enrollee for Michigan is $2,610. Listing said, "We initiated the Abortion Insurance Opt-Out law to exclude abortion coverage from all health plans in the state because the Affordable Care Act provides subsidies to cover health care policies. We knew that by working together we could keep our tax dollars from paying for abortion. At the time of the petition drive, we did not know how many of our tax dollars would be used to subsidize health care. Now we know it is hundreds of millions of dollars that would have provided abortion coverage to thousands of residents." Michigan's Abortion Insurance Opt-Out law, which went into effect in March, also removes abortion from any private health plans in Michigan. The Opt-Out initiative has always been about who desires abortion coverage and who will pay for it; the law has nothing to do with the legality of abortion. With the Abortion Insurance Opt-Out law in place, both transparency and peace of mind is realized for those who have health insurance. Now, any health care policies purchased or renewed will not include abortion unless a separate rider is obtained. In addition, if an employer's private plan includes an abortion rider; all employees must be notified of the rider's provisions.